Let us put our unmatched experience to work for you. LFM has been building fiberglass reinforced plastic tanks and process vessels for a wide range of applications since 1974. We utilize the latest chop and filament winding equipment available in the industry today, thus supplying our customers with the highest quality fiberglass structures on the market. Our 83,000 ft2 factory is centrally located 50 miles east of Austin in Giddings, Texas, which helps us to better serve our customers. 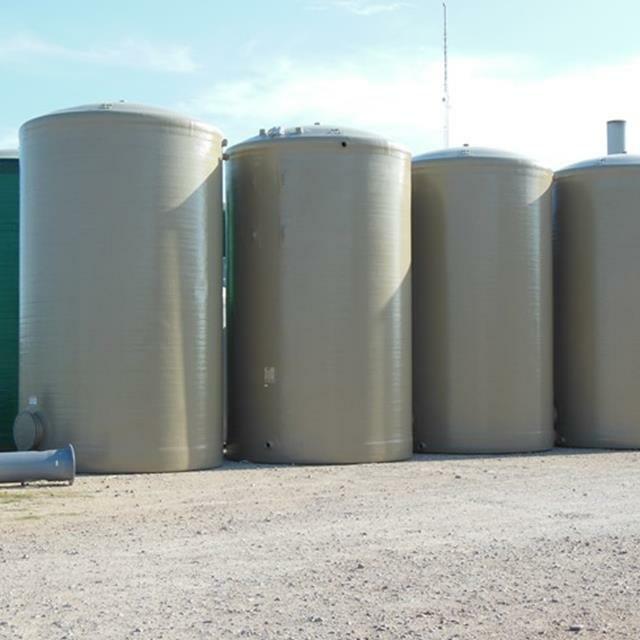 LFM’s fiberglass oil field tanks, when manufactured with certain FRP resin systems, can service multiple processes. Each resin type is resistant to a wide range of chemicals. Additionally, certain resin systems we use can include fire retardants, as required. 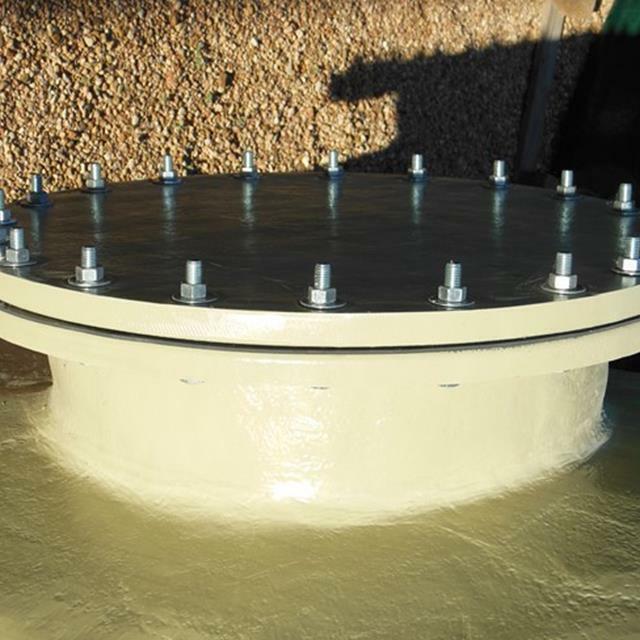 Our fiberglass reinforced chemical tanks eliminate the need for additional corrosion protection, such as exterior painting and cathodic protection systems, for above-ground and underground installations. 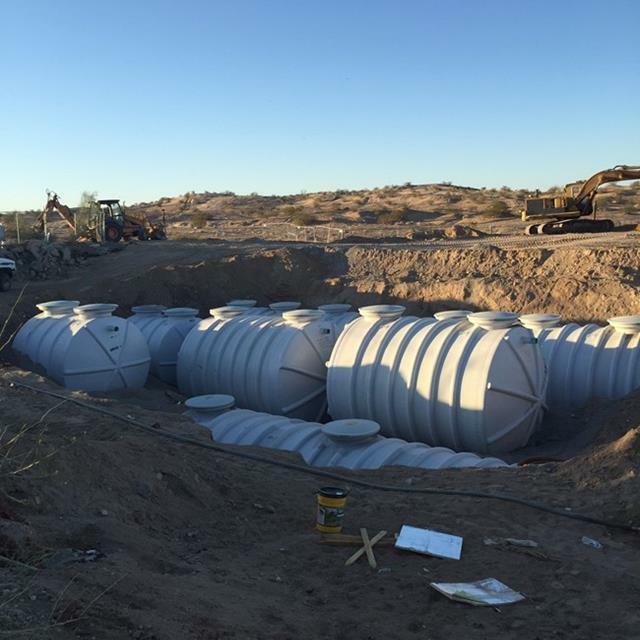 LFM produces quality fiberglass reinforced chemical tanks that represent an outstanding value when compared to conventional steel tanks. Our fiberglass products weigh approximately 60% less than steel, which reduces installation costs. 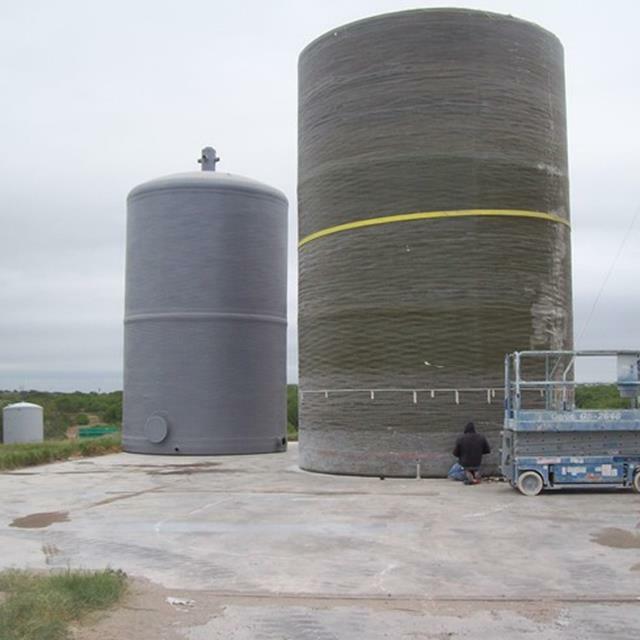 LFM’s fiberglass chemical tanks have a longer service life than steel tanks, thus saving money in the long run. We manufacture our fiberglass tanks and process vessels to meet or exceed all ASTM D3299 specifications for fiberglass tanks. Also, we meet ANS/AWWA D120 specifications. 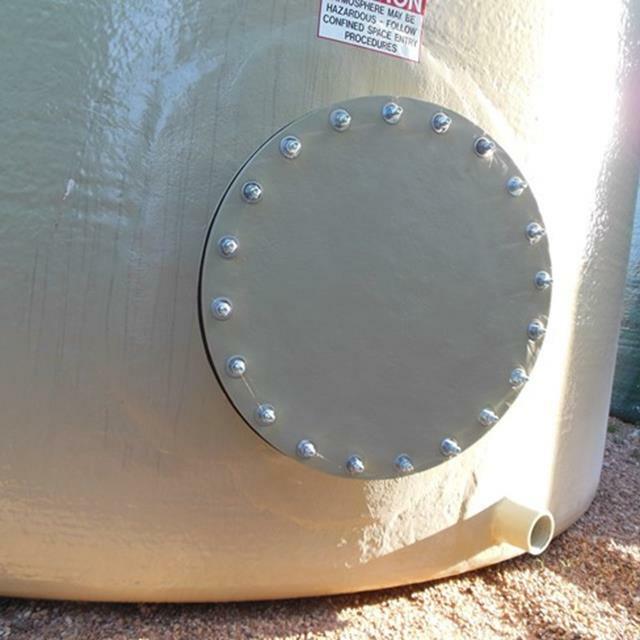 By meeting or exceeding these rigid requirements, LFM assures that our fiberglass tanks offer the highest structural integrity, durability, and corrosive resistance. LFM’s fiberglass products are designed and manufactured for your specific application. We meet or exceed industry standards to insure long and trouble-free service. 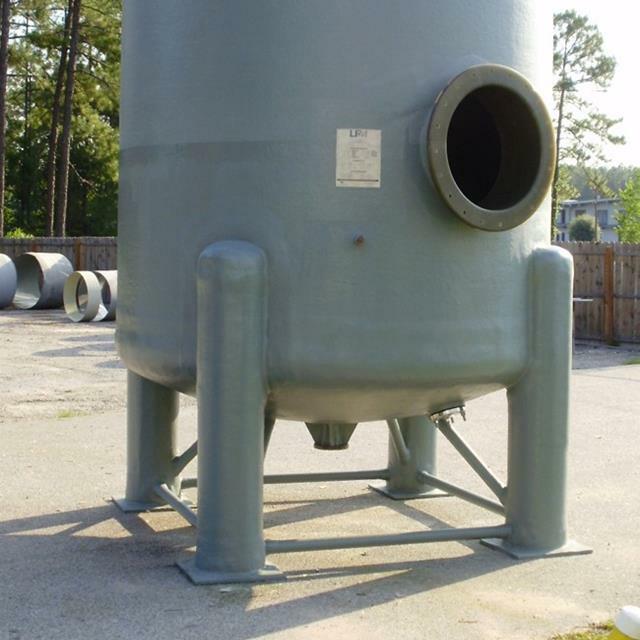 Our fiberglass tanks are engineered for the specific service conditions required by our customers. The final tank design depends on factors such as operating temperature, chemical environment, specific gravity, wind, seismic loading, agitation, and pressure or vacuum operating conditions. We maintain individual inspection reports for each tank, recording resin system used, actual material usage, fittings, accessories, recommended end use, and delivery destination. Our fiberglass tanks and process vessels are manufactured by hand lay-up, filament wind, and chop winding processes. 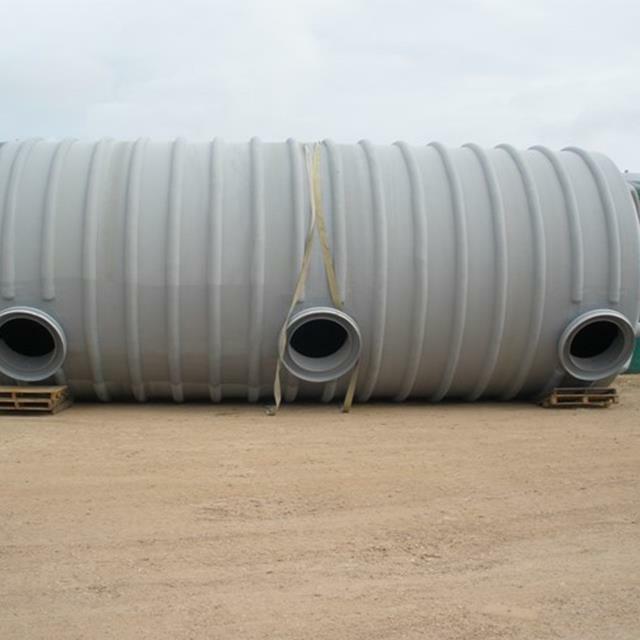 Standard tanks are available in diameters from 2 ‘through 15.5’. LFM can also custom design and manufacture fiberglass tanks or process vessels for almost any size or service requested. Contact your LFM sales representative to find out which size and type of tank best fits your specific needs. LFM can build fiberglass tanks with many different options and fittings. Some of these include various FRP flanges, manways, sight glasses, threaded couplers, leak detectors, insulation, ladder cages, heat tapes, and more. 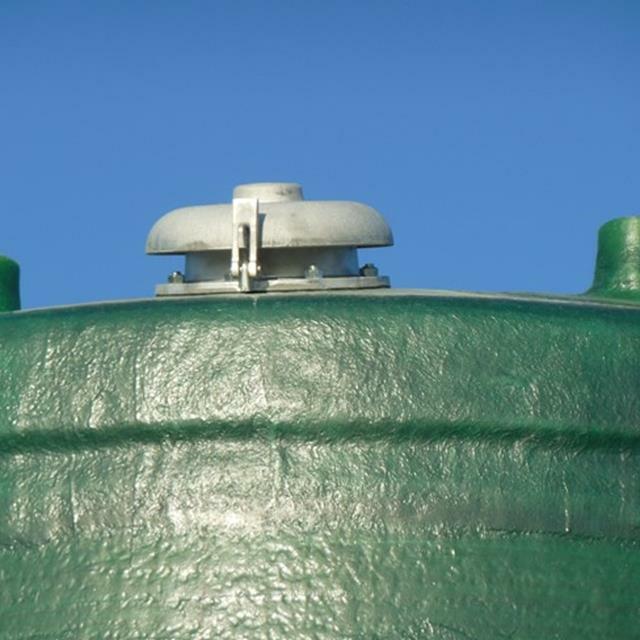 We also manufacture four different top and bottom styles on our tanks: flat, domed, sloped, and conical. For more information on additional options, contact your LFM sales representative. LFM also offers exhaust systems. These systems offer a wide range of versatility. For additional information on our stacks, flumes, flume scrubbers, ducts and other components, contact your LFM sales professional. LFM has its own fleet of delivery trucks which are specifically equipped to transport fiberglass tanks. 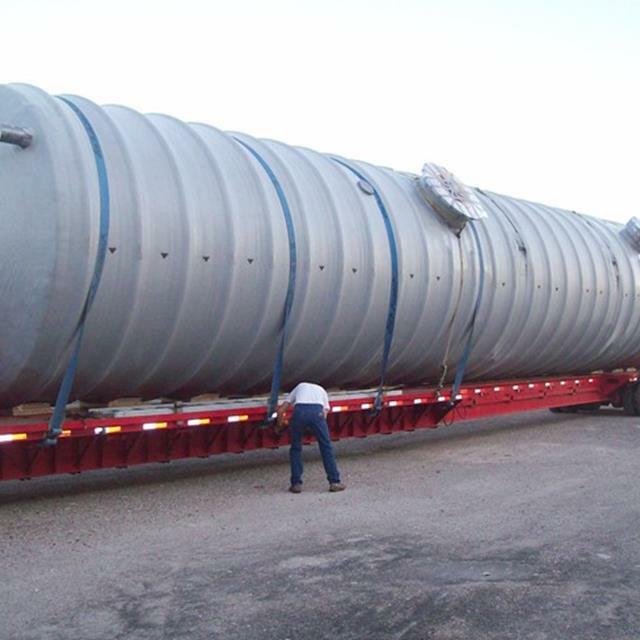 Our fiberglass chemical tanks are much lighter than steel tanks, making them more affordable to deliver and making them much easier to handle during loading and unloading. At LFM, we stand behind what we build. 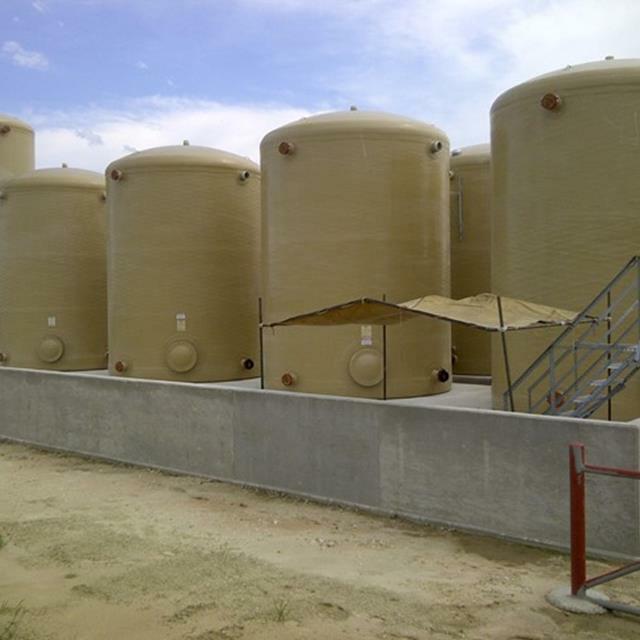 We offer a limited one-year warranty on our fiberglass chemical tanks. See the warranty section of our brochure for further information.